Welcome to the cyber home for the Minnetonka Saints baseball team. 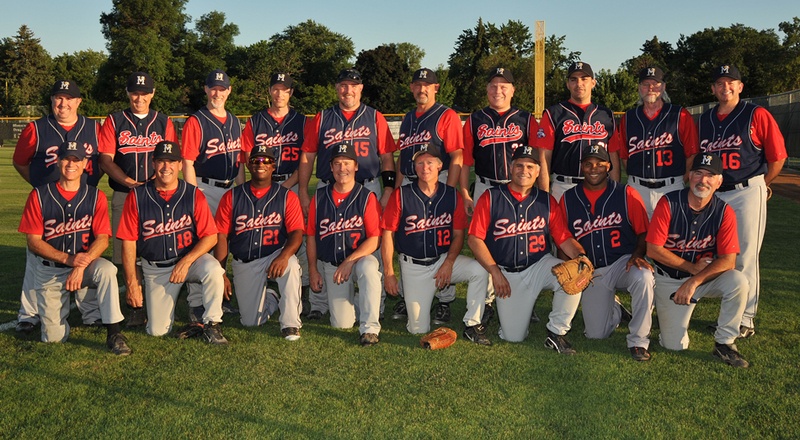 The Saints play in The North Star Classic League which is an over 35 wood bat baseball league in the Twin Cities metro area. Please take a look around the site and enjoy your visit. In particular, you should check out the photo pages and, if you have some time and would like to get a better idea of what this crew is all about, you should read Can O' Corn, The Pipeline and the Noonanator. They're sort of our weekly blogs and show just how demented we really are.